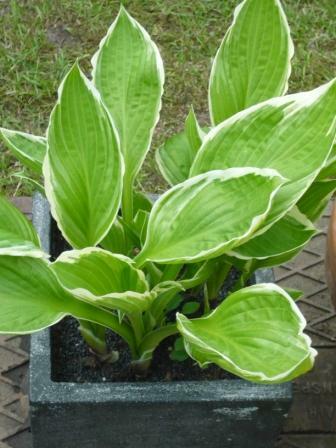 Every year my Hostas have been nibbled when young, eaten in Summer and decimated by Autumn. Guess what I have done this year – yep I have potted them up into containers and so far so good (until the little devils learn to fly or crawl up the pot sides). It is the little black slugs rather than the fat juicy brown slugs that do the most damage but knowing that won’t make you feel any better. 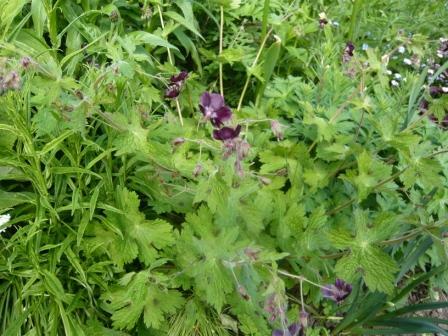 There are not many totally black flowered plants but this geranium gives a good impression. Geranium phaeum is called ‘the mourning widow’ because the late spring flowers are dark maroon often sold as black. I am in mourning because the plant has been more trouble than it is worth in my garden and this morning I dug out what I hope will be the last surviving specimen. 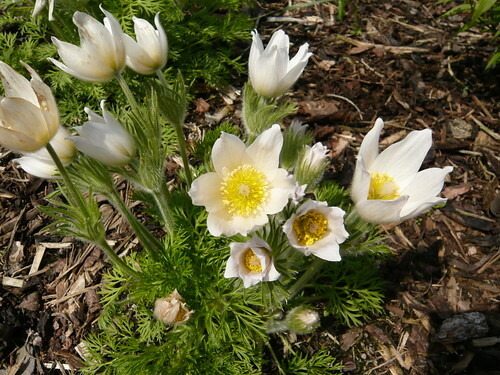 This plant grows well in shady places but the flowers I got were meager to paltry. 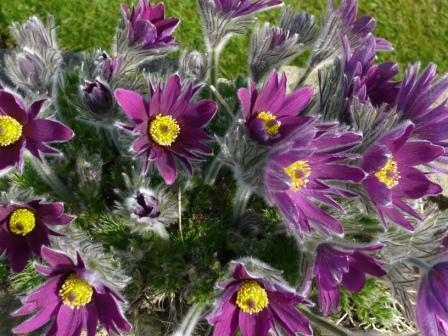 Despite this poor flowering it managed to self sow in the most amazing places usually in the best sunny spots.